This article by Carmen Robles appeared in InsightNews.com. 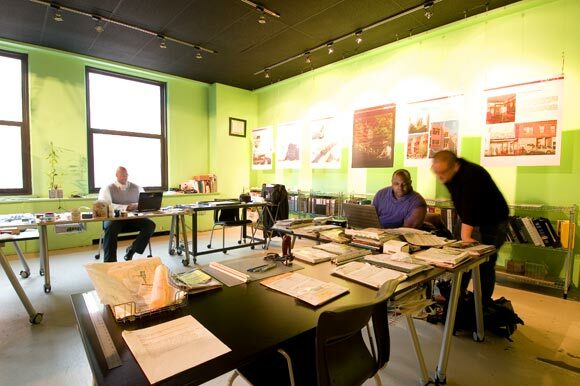 James Garrett, Jr. is a visual artist, published writer, and award winning architect with offices located in downtown St. Paul. He is co-founder of 4RM+ULA, (FORM + Urban Landscape Articulation), a full-service architecture firm focused on transit design, transit-oriented-development, and urban infill redevelopment projects. At the time of this interview 4RM+ULA (www.4rmula.com) was celebrating its 13-year anniversary. “The road to this milestone was not an easy one to travel,” said Garrett, Jr. “I knew I wanted to be an architect, start a business and design important buildings for people.” Although his first venture failed it did not deter him from pursuing his dream.